Montreal, Canada, Environmental consultancy Haddock Research has implemented a Flash-based market research e-commerce solution produced by TJW Media. Fitting into the company’s existing Drupal web platform, the solution provides an attractive and informative sales brochure that directly connects with the Moneris payment system. 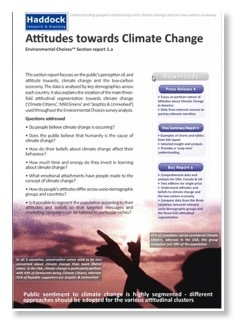 Customers can use the site to purchase innovative market research reports on various aspects of people’s perceptions and reactions to Climate change. Haddock’s Environmental Choices™ syndicated survey is being used to launch Haddock and provide baseline data and analysis.